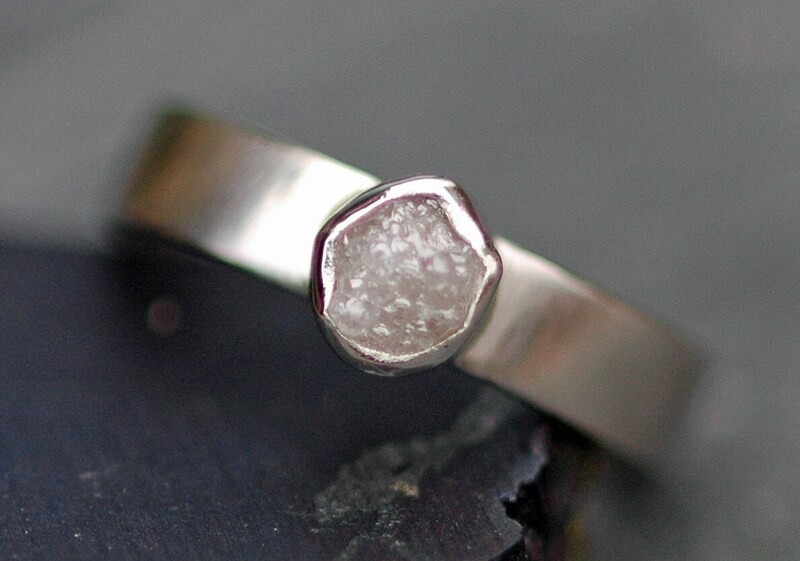 Each of my diamond rings is made with a completely unique rough diamond crystal. These raw stones are conflict-free, and are as they appear when they are fresh from the mine. They are uncut and untreated. Each is different from the rest- some are a pale silver, while others are a deeper gray. All are between 5-6mm in size. These are my Size C diamonds. If you do not specify size and colour, I will choose the most gorgeous of the bunch for your ring. 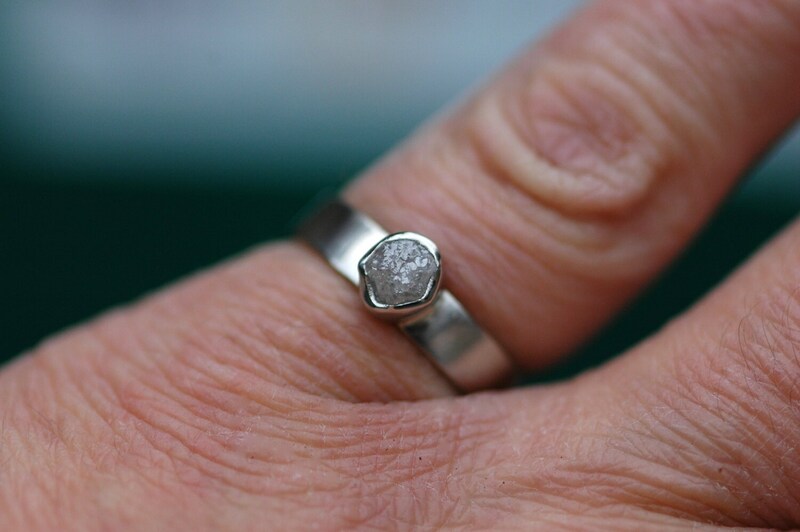 The photo of the ring on my hand has the diamond looking quite dark- as diamond is such a highly refractive material, the colour will change depending upon the light it is viewed in. The ring band is recycled gold, and is a substantial 4mm across. 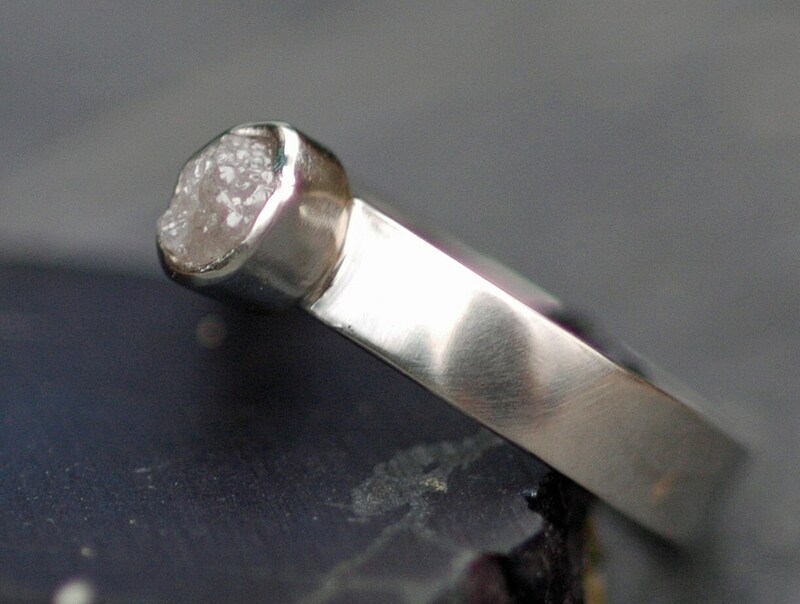 The ring can be given a brushed, matte finish, or a high shine polish. 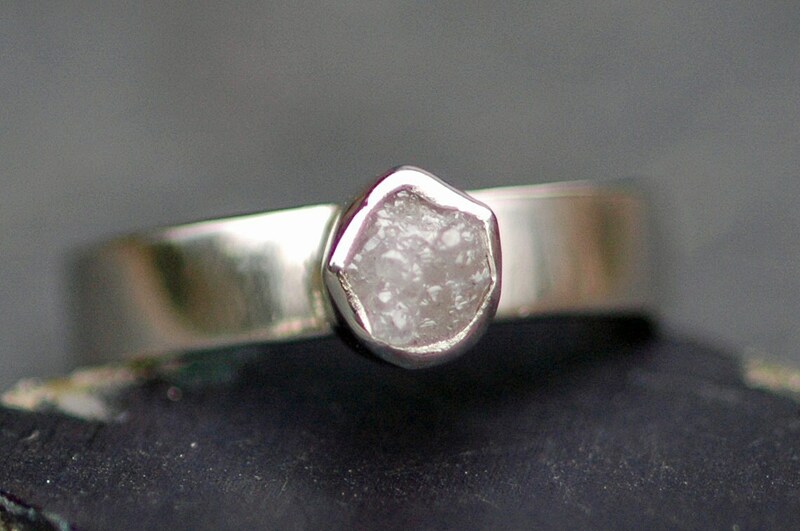 I can also create this ring in a hammered finish. 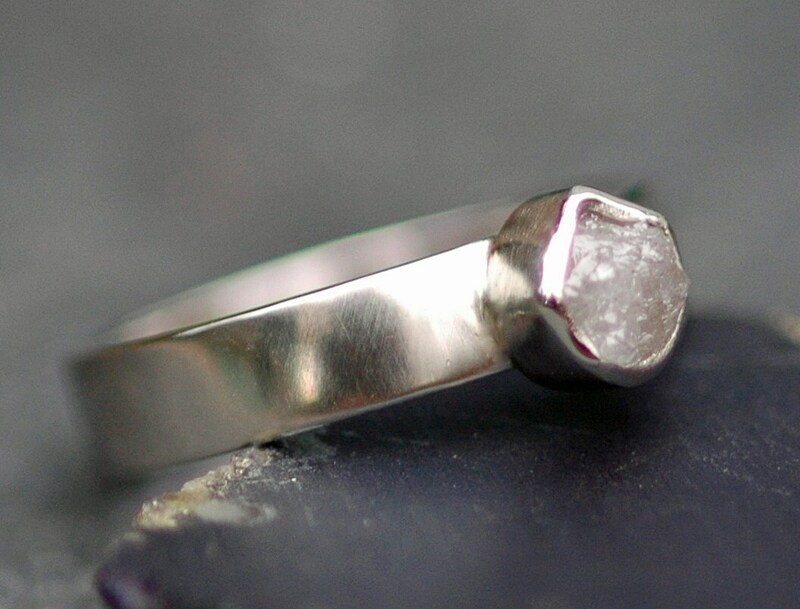 The ring you see in these photos is made from 18k white gold. Please choose your gold option from the dropdown menu- pricing is dependent upon the karat of gold you choose. As this is a custom, made-to-order piece, please check out my shop announcement for my current production time.